Shari Duddy is an elementary school teacher in New Jersey. Shari has many years of experience in education. You’ve heard of education friendly classrooms, but education friendly bedrooms? You bet! There is such a thing as a bedroom that engages a child’s mind and imagination, and it can do all that without making him feel like he’s sleeping in his classroom. As an adult, you think of a bedroom as a place largely where you go to sleep. As a parent, you may even look at your child’s bedroom as a place you send them when they’re acting unruly. But your child thinks of her bedroom as much more than a place to go at the end of the day to drift off and dream. She thinks of it as the place she goes to have fun, either alone or with her friends; as a place to do all sorts of childhood activities; and as a place to study her lessons for school. The trick for you is to combine all of that into a place that will be education friendly, enhancing her creativity and learning experiences. Here are some tips from elementary school teachers on how to create an education friendly bedroom for your kids that will not only help them to relax and sleep, but also to keep their minds vibrant and active while they’re awake. Being a kid today isn’t like it was when you were a kid. All those years ago, you could take a book or two, a notebook, a couple pencils, set it all up at your kitchen table, and you were ready to study. Today, of course, there are computers and internet and laptops and iPads and video devices and all manner of other things kids not only use, but need, to get their school lessons done effectively. Seriously, could you imagine your child not being able to access the internet while doing her homework or writing an essay? That’s why she needs not just a desk, but a workspace. Okay, so you’re probably not going to create a home office for her to get her schoolwork done. But by the same token, you’re not going to tell her to sit at the kitchen table with all those devices she needs to work, either. Today, your child needs a workspace all her own, and this easily can be accomplished with an inexpensive desk in her education friendly bedroom and a shelf or two that will hold everything she needs. If money’s a little tight, visit garage sales, thrift shops, or even websites where people give away desks and other stuff for free. Additionally, let her get involved in painting it the way she wants it. That way, you’re engaging her creativity before her education friendly bedroom is even finished! 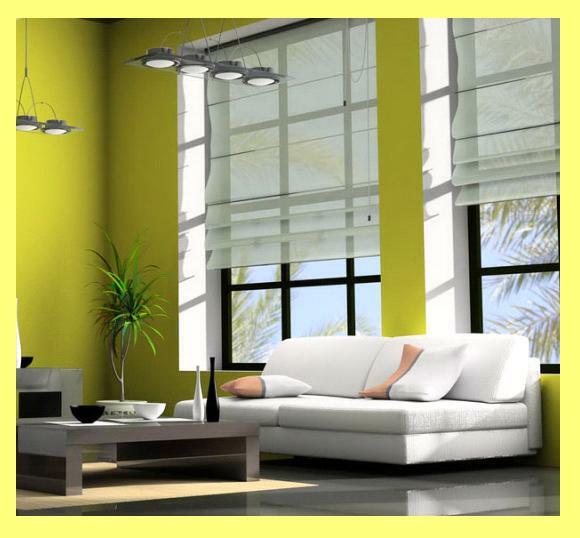 Many of today’s chalks, paints, and markers are made to wash off walls. So, instead of yelling at your kids for writing, drawing, or painting on the walls, why not create a special area of the wall to let them go at it?! Paint an entire wall, or set off a chalkboard-type stripe on one or more walls where your child can take his crayons, markers, or paints, and let his creativity fly! Chalkboard paint is a great way to achieve an area of wall where kids can draw, write, or paint, then just erase it all off and start all over again. If you don’t want to paint an entire wall or area of the wall with chalkboard paint, many activity or learning stores have corkboard that will help you achieve the same effect. Combine a few of these corkboards together and secure them to the wall, allowing your kids to get the same outcome of the chalkboard in their classroom. This is also a great way for you to leave messages for your kids. That’s right, instead of a headboard for your kid’s bed, how about a brainboard?! 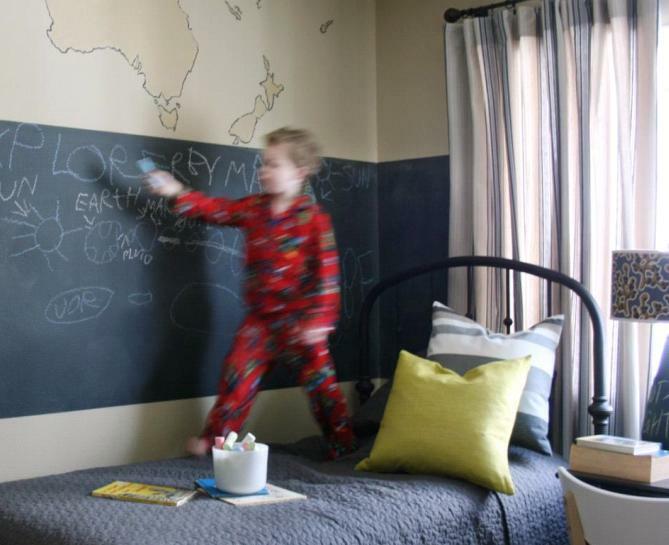 If you’re looking for a fun and creative way to add educational possibilities to your kid’s bedroom, try replacing the headboard with a giant chalkboard. Or get some chalkboard paint and paint the wall behind the bed. This way, your child will have another place to let their creativity flow, without ruining walls or other surfaces. Children are always learning. Regardless of where they are or what they’re doing, they’re always picking up information along the way. Their brains are a strange combination of suction cup and sponge; they attach to their surroundings and soak up bits and pieces as they go, transforming it into whatever weird, whimsical spin they put on the world at any given moment. One of your jobs as a parent is to engage the minds of your kids in such a way as to both drive their imaginations while at the same time directing, honing, or redirecting that creativity into something worthwhile. That’s where an education friendly bedroom can come in handy. A bedroom that helps to spark creativity while they’re awake can help them to direct their minds toward their studies, thereby helping them to imagine greater possibilities for their futures. Talk to your child’s elementary school teacher for more ideas on how to create an education friendly bedroom for your child.